Two shows from at Manchester's Hacienda nightclub from the mid-'80s. Extremely rare archive footage, previously unreleased on any format! "Live At The Hacienda" features two full shows from the band at Manchester's famous Hacienda nightclub in the mid-1980's. This is extremely rare archive footage, previously unreleased on any format! The textbook American cult band of the 1980s, the Violent Femmes captured the essence of teen angst with remarkable precision; raw and jittery, the trio's music emerged as the soundtrack for the lives of troubled adolescents the world over. The group formed in Milwaukee, Wisconsin in the early '80s, and comprised singer/guitarist Gordon Gano, bassist Brian Ritchie and percussionist Victor DeLorenzo. After being discovered by the Pretenders' James Honeyman-Scott, the Violent Femmes signed to Slash and issued their self-titled 1983 debut, a melodic folk-punk collection which struck an obvious chord with young listeners who felt a strong connection to bitter, frustrated songs like "Blister in the Sun," "Kiss Off" and "Add It Up." The album remained a rite of passage for succeeding generations of teen outsiders, and finally achieved platinum status. The band temporarily split in the mid-1980's, but reformed in 1989 and have been touring and recording to the present day - still loved by their ever loyal fanbase around the world. 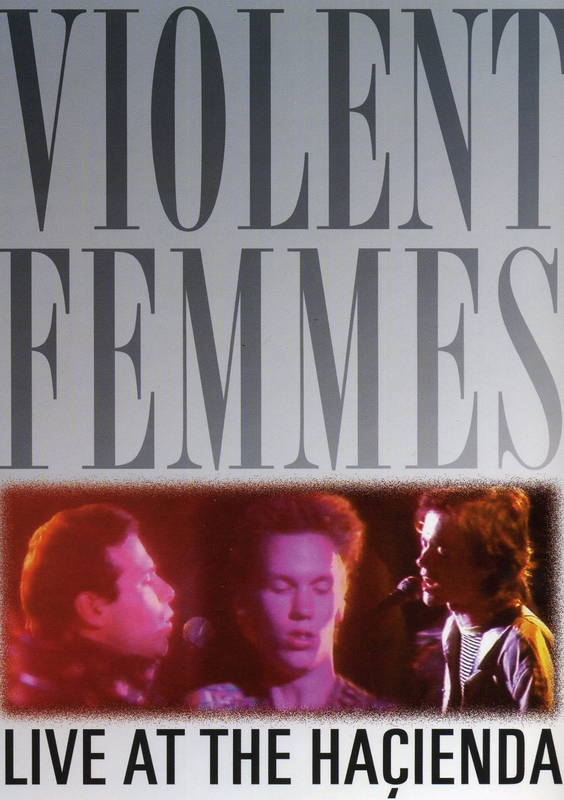 Available for the first time on DVD, vintage live footage of cult alternative heroes Violent Femmes.